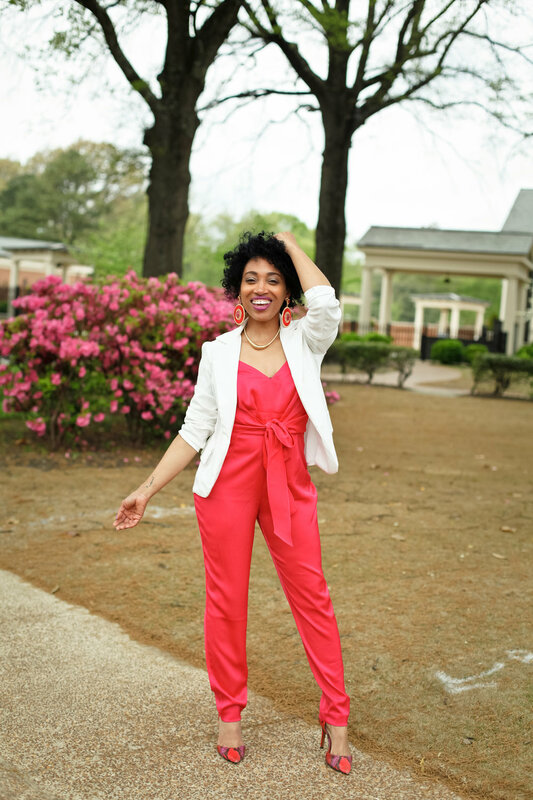 Don't you love a good jumpsuit? I know I do! To be honest for a while I thought, I only liked it on other people. I thought I couldn't wear a jumpsuit due to my height and size. I mean I never want to look like I was walking around in a onesie. 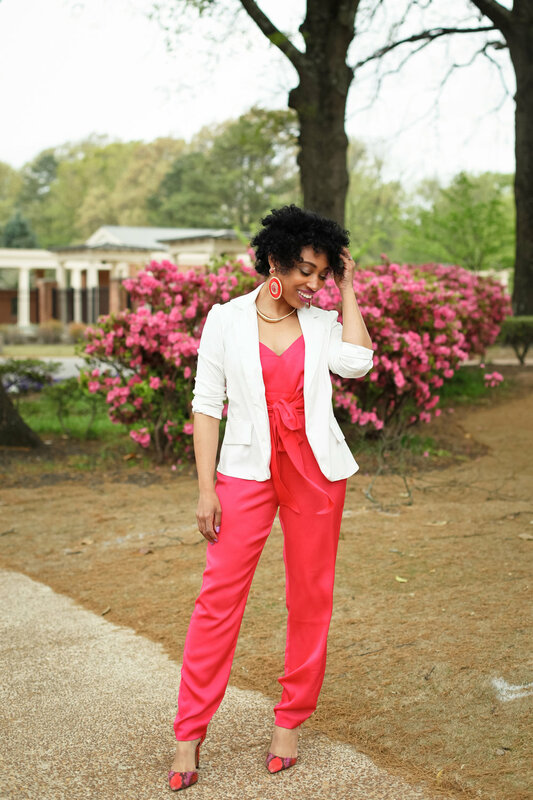 Rachel Roy's Joy Jumpsuit made me a believer in the "petite girls can wear jumpsuit" campaign. 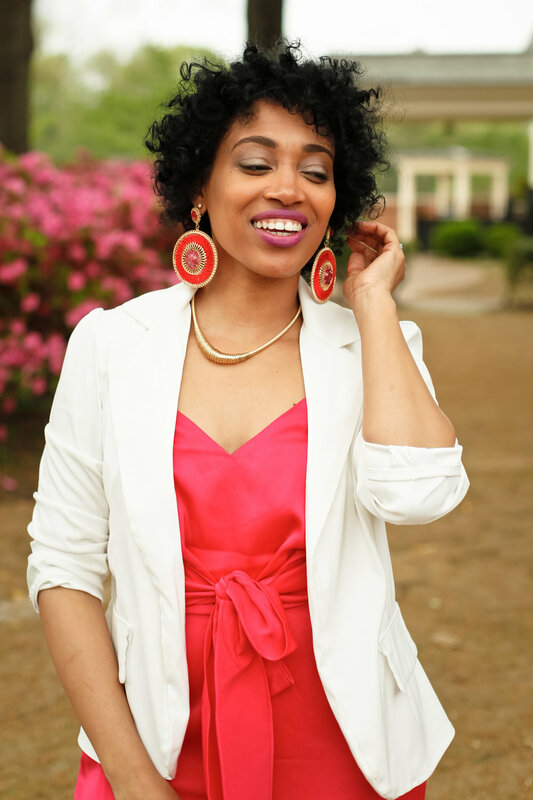 I felt like a grown woman who isn't playing dress up but one that loves her petite frame and a tailored look. It was the perfect look to wear to the Rachel Roy Luncheon for Memphis Fashion Week too. When I first tried it on after it arrived, initially I wanted to hem the pant leg maybe just about an inch. Being 5'0, it's pretty normal for me to make alterations to my leg length. However, after much contemplation and a second fitting with the whole look together--hair, makeup and accessories, I decided to leave the length as it was. I received so many compliments and a few touchy feelies as many women could see the fabric was a soft pink satin that was amazingly comfortable.